Published today the Link2Plans National Housing Construction Index Vol. 19 sets out the volumes of residential construction projects planning applications lodged, granted and commenced during the period 1st January – 28th Februay 2015. The main findings of the latest index show an increase in new residential construction projects planning applications lodged but a fall in projects commenced as a result of the new building regulations introduced at the end of Q1 2014. The latest edition of the index is available free of charge on the Link2Plans website where you will find other useful information on past editions of the National Housing Construction Index as well as up-to-the-minute details on every Single Residential unit currently in planning, recently granted planning permission or scheduled for construction commencement. 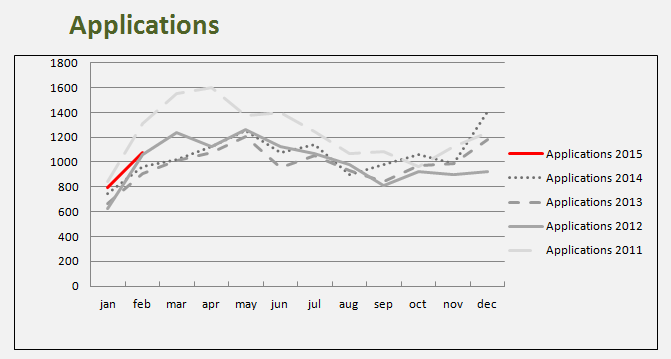 Planned Residential Construction Projects on the Rise…. In the latest edition of the Link2Plans National Housing Construction Index (NHCI) a 9% rise in new residential planning applications during the first 3 months of 2015 has been highlighted versus Quarter 1 2014 figures. 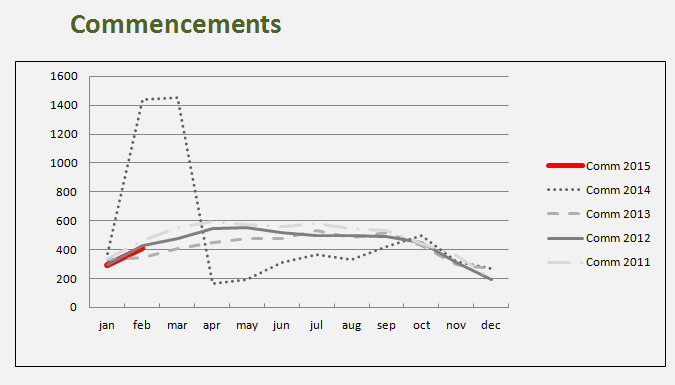 While this is good news in the medium to longer term for the Irish Construction sector the Link2Plans analysis highlights a short-term fall in residential construction projects commencements. 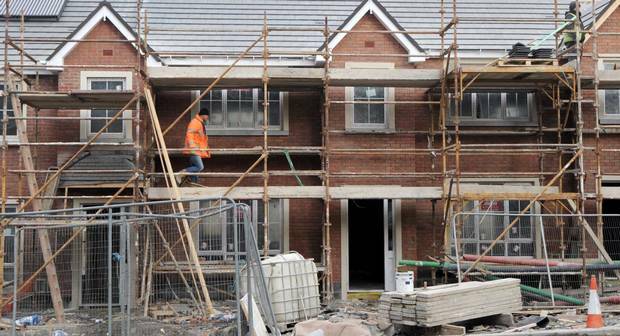 Overall applications for new residential construction projects increased year-on-year across 18 counties but saw a 4 percent fall in Co. Dublin further illustrating the shortage in housing supply across the capital. Link2Plans Managing Director, Danny O’Shea, pointed to the impact of the introduction of new building regulations in April 2014 as a significant factor in the rush to lodge construction projects commencements early in 2014 and the the consequent knock-on effect of this in the first quarter of 2015 and pointed to the 3% rise when quarter 1 2015 is compared with quarter 1 2015 as a more accurate reflection of increased activity in the residential construction projects sector. Danny O’Shea is CEO of L2P Group which comprises Residential and Commercial Construction Projects research firms Link2Plans and Building Information Ireland. Visit Link2Plans to download the latest edition of the National Housing Construction Index and to avail of a 10 day free trial to information on all commercial construction projects data visit Building Information Ireland. In today’s online edition of the Irish Independent there are 4 headline stories in the commercial property section which provide details on the actual or proposed sale of commercial property as well as the development of €200 Million 19 storey skyscraper in the Docklands area of Dublin. In all, the total potential value of the properties listed amounts to over €420 Million. Nama is planning to divest itself of 3 shopping centres valued at €120 Million and 8 office blocks valued €100 Million. The properties in question are spread nationwide and include shopping centres in Cork, Galway and Drogheda Co. Louth. As well as this it seems that a separate package of 8 offices is being prepared for sale by the National Asset Management Agency. 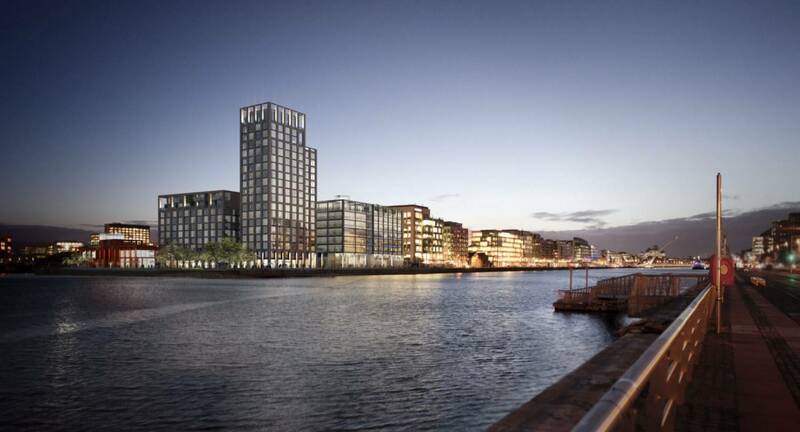 In another story reported recently, it seems that Nama in co-operation with US firm Kennedy Wilson, intend to develop offices and apartments in Dublin’s Docklands. The proposed planning permission is said to include what would be Dublin’s tallest building at 19 storeys and if it goes ahead is likely be one of the capitals most high profile commercial construction projects. Elsewhere, in Co. Louth the Independent reports that offices at the Quayside Business Park have been sold for a figure close to €1.15 Million. For further information about commercial construction projects please visit our website and avail of our 10 day free trial. 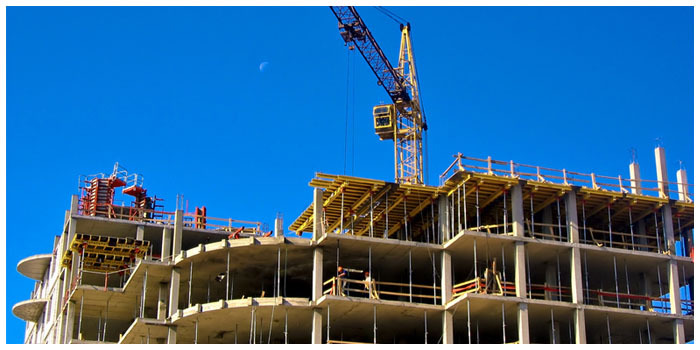 Building Information Ireland research and publish details on all planned commercial construction activity as well as all other sectors across all 32 counties. 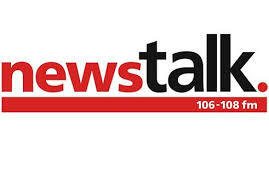 In this interview with Newstalk’s Ivan Yates, Building Information Ireland’s CEO, Danny O’Shea, discusses the findings from the latest edition of the National Housing Construction Index (NHCI) as well as the impact of the introduction of new building regulations on the residential construction sector. Full details on all multi-unit residential construction projects – planned, granted and scheduled for commencement are available via the Building Information Ireland website. A 10 day free trial is available. Building Information Ireland research and publish details on all planned construction activity in all sectors across all 32 counties. According to a recent Irish Independent interview with Minister for Housing & Planning, Paudie Coffey, local authorities across the country have been requested to process planning applications in the most time efficient manner possible. This is in hope that construction activity can commence on many of these developments as quickly as possible. These comments coincided with the latest edition of the National Housing Construction Index (NHCI) which highlighted, that due to new building regulations introduced at the end of March 2014, residential construction commencements actually fell in subsequent months. We all know that levels of supply are currently not meeting demand so it comes as a positive statement from the Minister that Government are to take a more direct approach to how local authorities deal with planning permissions. If implemented these initiatives may prove an important step to developing a sustainable residential construction sector. A recent article from the Sunday Business Post references research carried out by Link2Plans and looks ahead at the likely market scenarios from both the commercial and residential perspective during 2015. Link2Plans research is referenced and Managing Director Danny O’Shea gives his view on the residential sector during 2o14 and for the year ahead. The outlook for the residential and commercial construction sectors during 2015 are positive following a strong finish to 2014. Optimism for the construction sector is high with key developments in Dublin’s Dockland area and at Cherrywood Co. Dublin it is estimated that approx. 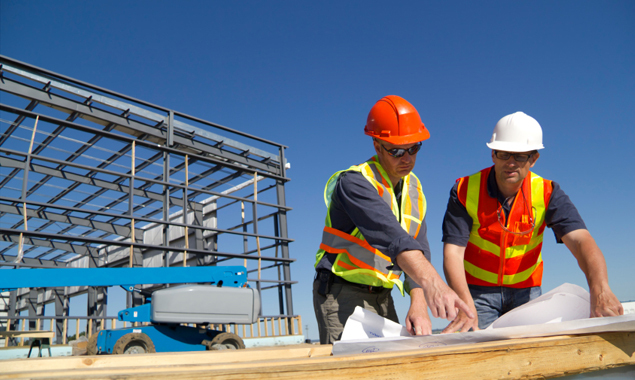 €11bn in construction projects are earmarked for commencement in 2015. 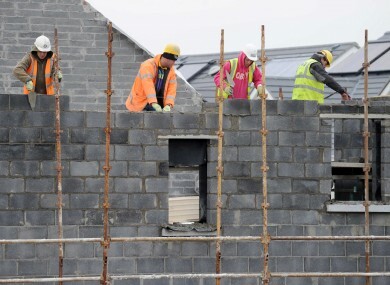 Boosting confidence even further are efforts by The National Assest Management Agency (Nama) to tackle the supply shortage in commercial and residential construction segments, with Dublin of particular focus. Industry commentators seem to indicate that Nama appear to be willing to divest themselves of loans and property assets at an accelerating rate during this year. Nama itself claims to be well on target to pay back the 80% of the €30.2 bn in senior debt issued to absorb bad loans by 2016. It now appears to be driving the construction of large scale office space and residential units within Dublin as it partners with investors and developers. By the end of 2016 Nama plans to deliver 4,500 new residential units in Dublin across existing shovel ready sites – 1,500 of these units are planned for construction during this year. Further plans involve the development of more than 25,000 units post 2016, which will go some way to addressing the need for 12,500 new units per annum in Dublin over the next 6 years as highlighted by the Economic and Social Research Instititute (ESRI). To find out more about planned residential and commercial construction projects visit Building Information Ireland and register for a Free 10 day day trial to our online portal for all Building Contractors, Building Materials Suppliers and Construction Professionals.